After five years of training, Steven Mitropoulos became the 2017 National Physique Committee Collegiate Nationals Bodybuilding overall champion on July 22 in Pittsburgh. Steven Mitropoulos celebrates after winning the 2017 NPC Collegiate Nationals Bodybuilding overall championship on July 22. Bodybuilding may be an individual sport, but Cherry Hill’s Steven Mitropoulos wouldn’t be able to compete without his team of family and friends in his corner. Mitropoulos, 23, is one of bodybuilding’s best up-and-coming competitors. On July 22, Mitropoulos won the 2017 National Physique Committee Collegiate Nationals Bodybuilding overall championship in Pittsburgh. It is Mitropoulos’ biggest success so far in bodybuilding and one he couldn’t reach without help from his coach, family and friends. Mitropoulos wasn’t always a top-notch bodybuilder. As a high school student growing up in Cherry Hill, Mitropoulos describes himself as a quiet, skinny teenager. It wasn’t until his dad bought fitness equipment when Mitropoulos began working out semi-regularly. When Mitropoulos turned 18, he began working out at the LA Fitness gym in Cherry Hill. It was around this time when Mitropoulos began discussing with his father about becoming a top collegiate bodybuilder. Steven Mitropoulos competes at the 2017 NPC Northeast Summer Classic. Since then, Mitropoulos has been hooked on the sport. However, he didn’t become a national champion overnight. It took five years for Mitropoulos to work his way up. “You can’t take time off where you don’t progress to where you want to be,” he said. Mitropoulos said his family and girlfriend have played a huge role in his career. Their support has helped drive Mitropoulos to be successful in the sport. About three years ago, Mitropoulos began working with coach Johnny Casalena. Mitropoulos found Casalena on social media and saw how he worked with a number of professional bodybuilders. He felt Casalena would help him get to the next level. “He knows my body down to a science with the food and training at this point, so it kind of just clicks,” Mitropoulos added. 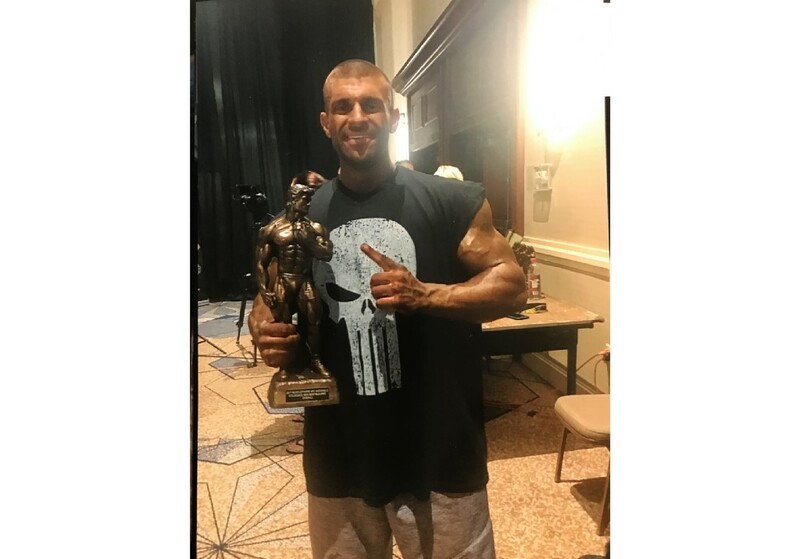 Mitropoulos qualified for nationals after finishing in first place in the men’s novice heavyweight division at the NPC Northeast Summer Classic in early July. 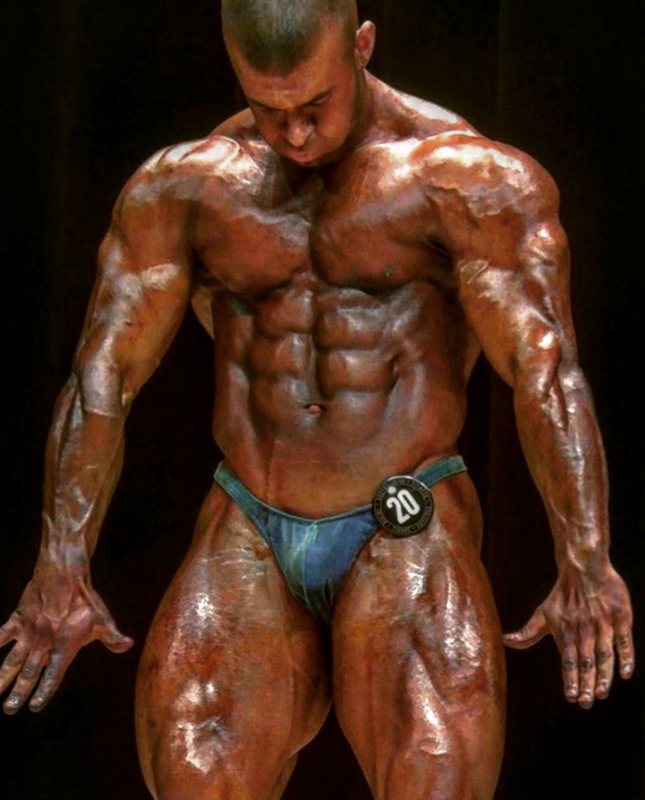 In the time leading up to nationals, Mitropoulos said a picture of him competing began to circulate on social media and he began to get the attention of many in the bodybuilding industry. While this notoriety increased the pressure for Mitropoulos, he feels he became more focused for the competition. Mitropoulos said bodybuilding competitions are high intensity events. Competitors are unable to see into the audience due to the bright lights on stage. They simply hear a judge calling out one of eight poses and are required to perform those poses on demand. At the national competition on July 21, Mitropoulos first won the men’s collegiate light heavyweight title. The five weight category winners then face off to determine the overall winner. When Mitropoulos was announced the overall collegiate champion, everything became a blur. Mitropoulos described how microphones and cameras upon winning the competition surrounded him. However, the first thing he wanted to do was find his girlfriend and his family, the people who have supported him through years of training. Mitropoulos now has his eyes on earning an International Federation of Bodybuilding and Fitness pro card. Mitropoulos can earn a pro card with a first-place finish in one of three select NPC competitions. His goal is to earn a pro card in the next two years.